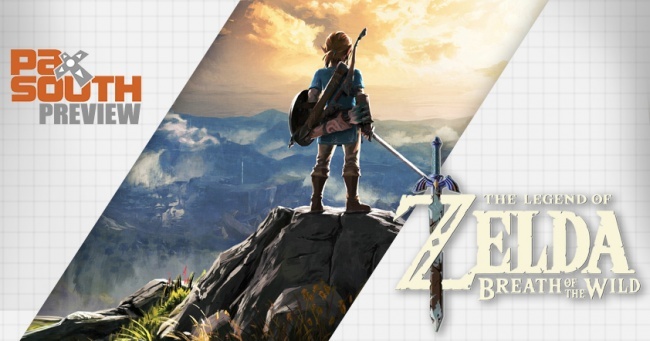 The Legend of Zelda: Breath of The Wild breaks a lot of long-standing Zelda tropes. 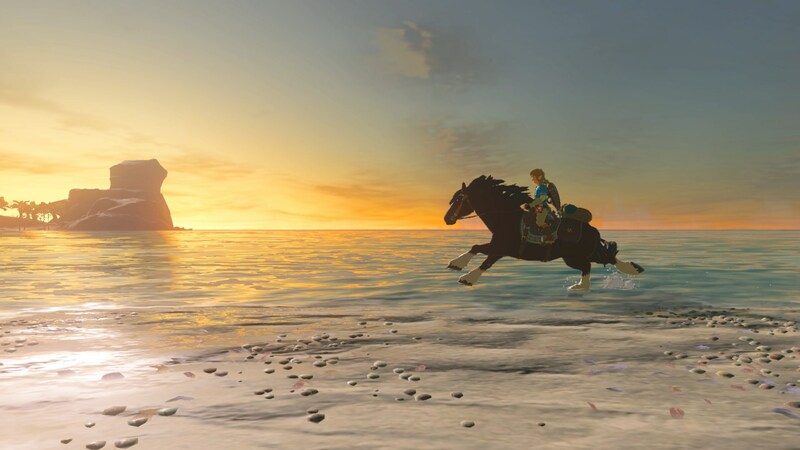 The Legend of Zelda: Breath of The Wild is a game about breaking as many long-standing Zelda tropes as possible, while still somehow maintaining the spirit of a Zelda game. "Open World" is the easy tag to apply, with similarities to Shadow of Mordor, Grand Theft Auto and literally any Ubisoft game being fairly apt. 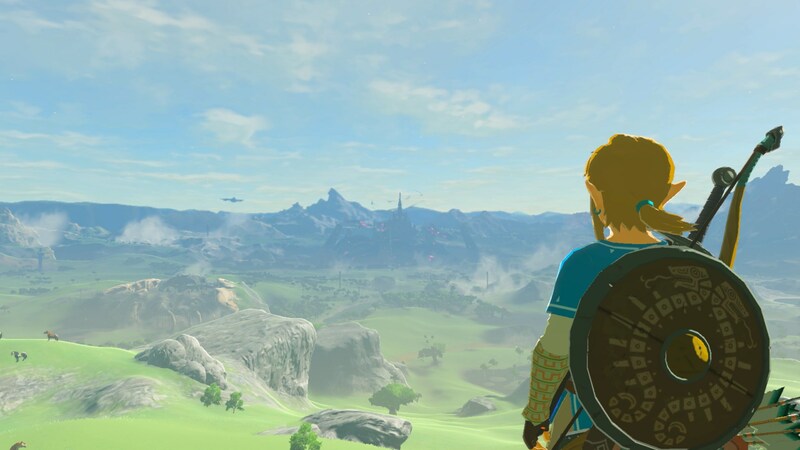 Never before has Link been awarded as much freedom as he has in Breath of The Wild, as right from the get-go you are simply unleashed upon the world to explore as you see fit. Unlike our last preview, which was on the Wii U, at PAX South I got to spend some extended time with the Nintendo Switch version of the game. While it was pretty cool to get my hands on the new tech, the Nintendo rep with me assured me that gameplay wise, the Switch version is pretty much identical to the Wii U version, although performance wise, it runs a little better. He confirmed that the game runs at 720p in portable mode, and 1080p in TV mode, though did not confirm a frame-rate. Sadly, during my playthrough I could feel the game struggle to stay at a constant 30 FPS at several points - particularly in the wide-open areas that the game is trying to highlight, and several antaliasing and screentear issues made me wonder if the game had been properly optimized for the new system at all. 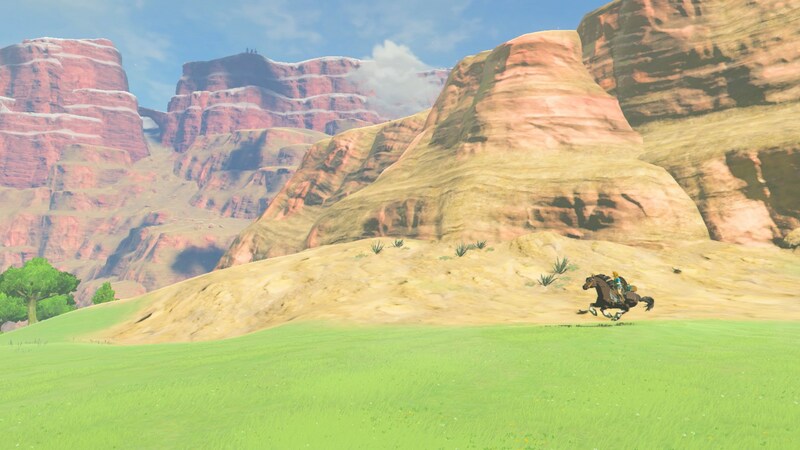 The most entertaining thing about playing Breath of the Wild on the Switch is playing it in tablet mode. The game feels good, controls well, and looks super crisp on the little screen. The idea of having a fully portable "console" Zelda makes me giddy. 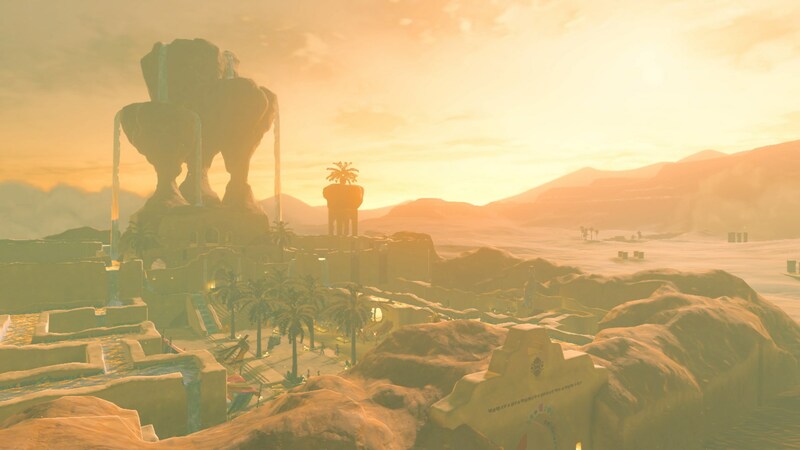 Breath of the Wild is such a chill game that I can imagine myself putting on my headphones, isolating myself in a comfy chair or beanbag with the system in tablet mode, and just relaxing. In TV mode, I was not a fan of the JoyCon (which I go into more depth on in my Nintendo Switch preview) and opted to simply use the Switch Pro controller - an upgraded version of the Wii U's pro controller. But enough about the technicalities of the Switch, I'm sure you're eager to hear how the game actually plays. Zelda is somewhat infamous for having a long, boring, slow tutorial level (Hey! Listen! 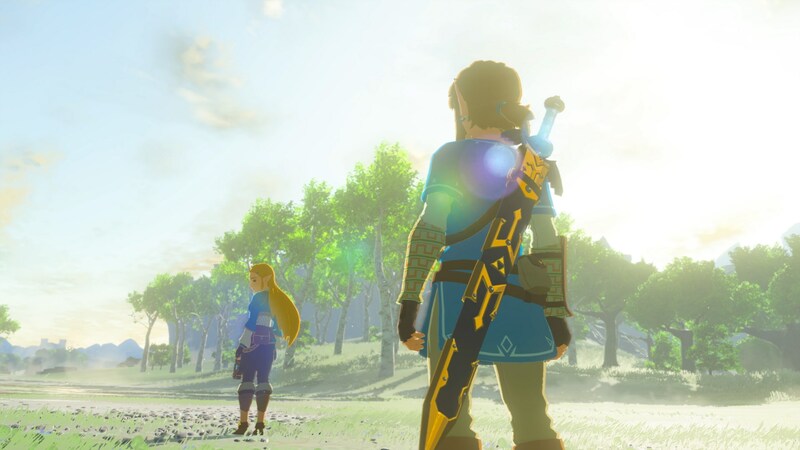 ), and the first thing Breath of The Wild does is break that trope by having Link wake up (in some sort of Demolition Man-esque cryogenics tube), put his clothes on, and go outside. Once outside, the world is your plaything - something that the Nintendo rep would enthusiastically exclaim to me several times during my playthrough. If you want, you can go straight to the main quest marker on your map. If you don't want to though, you can just run off and do other stuff. 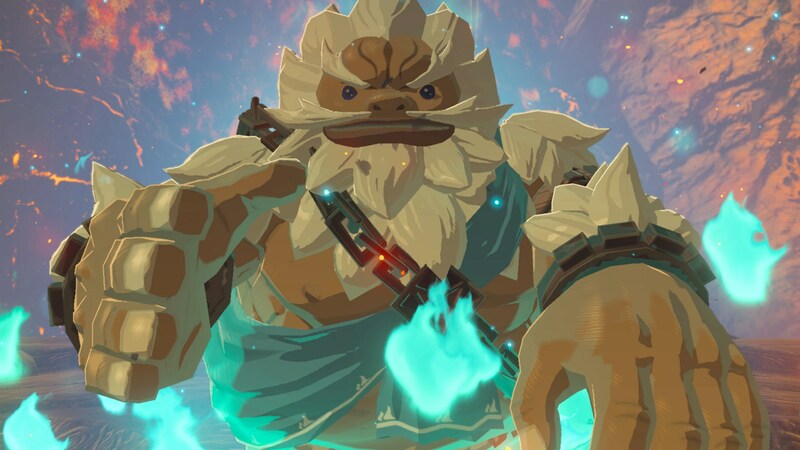 Breath of The Wild, like its open world cousins, has a big focus on collecting stuff. Right as you exit the cave, you'll start collecting apples, mushrooms, sticks, meat, leaves and so-on. 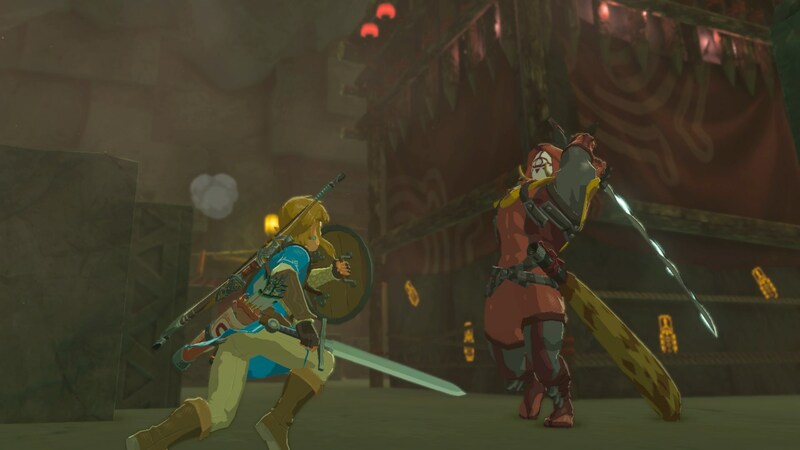 While I didn't get to see it in my play-through, Nintendo says that the game has a very extensive crafting system, and collecting rare materials to build powerful weapons and armor will be an integral part of the game. Weapons and armor will deteriorate over time, so you'll have to work at keeping a healthy arsenal. You'll also have to do stuff like build campfires to cook food and keep yourself safe throughout the night. 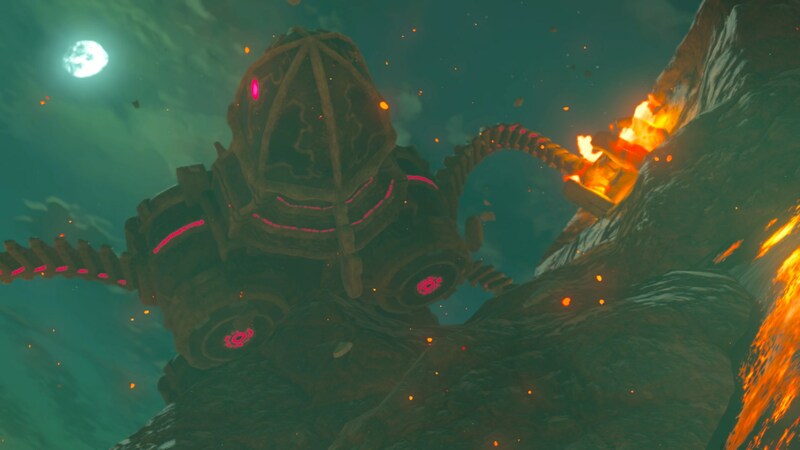 Gone is the endless collection of hearts and heart containers - Link will have to eat to replenish his health and stamina just like the rest of us. Speaking of which, stamina is a new system introduced in the game. 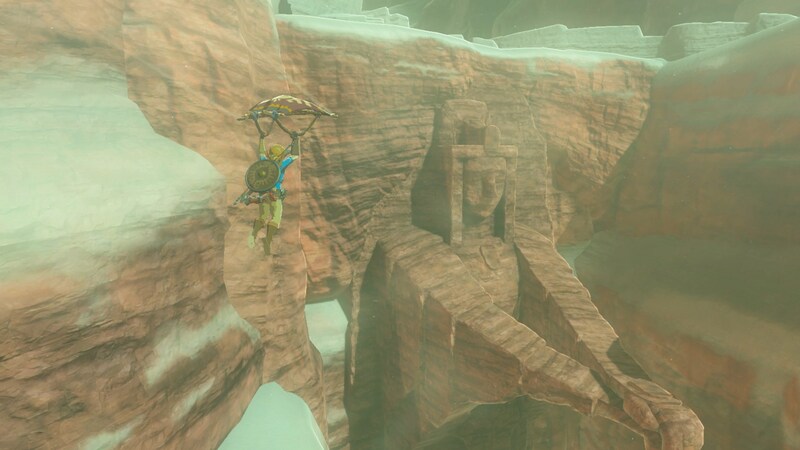 It will decrease when Link runs, climbs, swims, or so on, and can be increased by wearing specific armor or collecting upgrades. 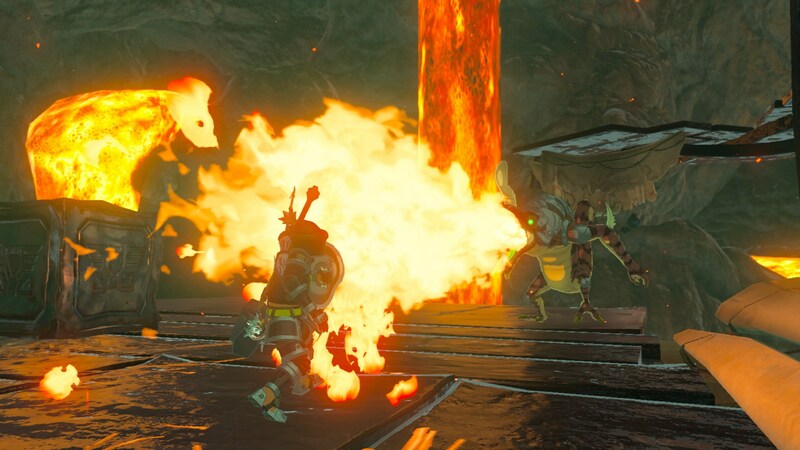 There's also a "temperature meter", which runs from "frozen solid" to "on fire", and can again be influenced by armor, as well as the environment. I was particularly impressed with the physics of the game. It was a delight to take a burning stick from my campfire and set half of the countryside on fire, to take my axe and cut down trees for materials, or even push a boulder off a ledge to flatten an enemy bellow. It's little touches like this that make the game. Breaking from another trope, enemies appear very early in the game, and you aren't really taught how to fight them. That doesn't really matter though, as the combat is really intuitive. I quickly learned how to throw items, do combos, and dodge attacks. Everything went really smoothly. 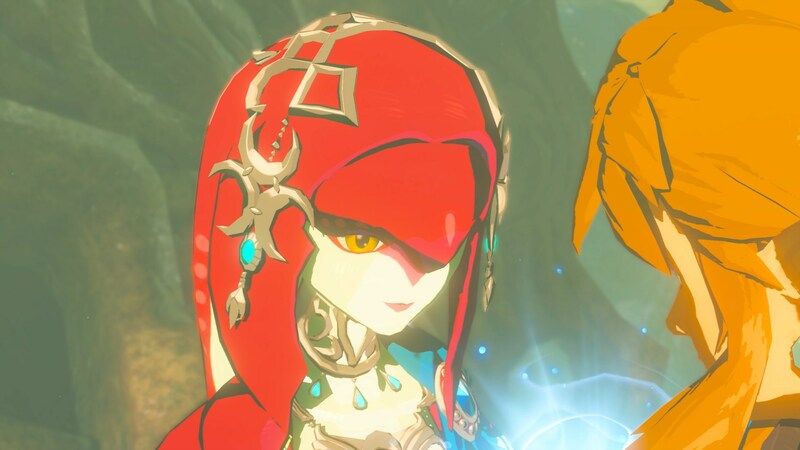 The demo was over all too soon but I could tell that I had sampled a mere taste of what Breath of The Wild had to offer. 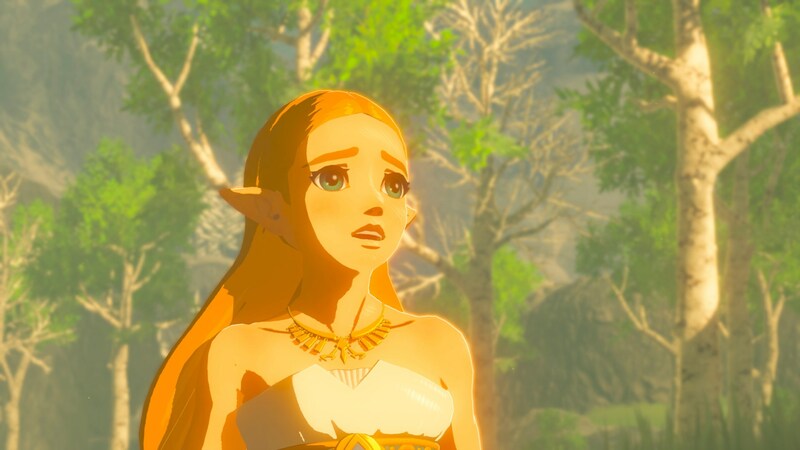 It really is a breath of fresh air (no pun intended) for the Zelda franchise, and Nintendo holding it back to be a system seller for the Switch is a smart, albeit, not particularly consumer friendly move. I'm excited to get my hands on it again, and truly see what I can do with it.